In a first step, the researchers designed and synthesised a new class of lipids (fat molecules) to create a new form of “soft” biological matter known as a lipidic mesophase. 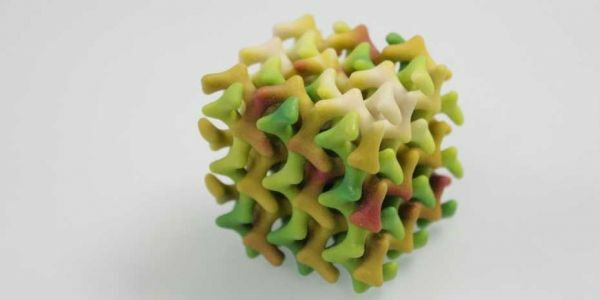 In this material, the lipids spontaneously self-assemble and aggregate to form membranes, behaving in a similar way as natural fat molecule. These membranes then adopt a uniform arrangement to form a network of connected channels that measure less than one nanometer in diameter. Temperature and water content, as well as the novel structure of the designed lipid molecules determine the structure that the lipidic mesophase takes.